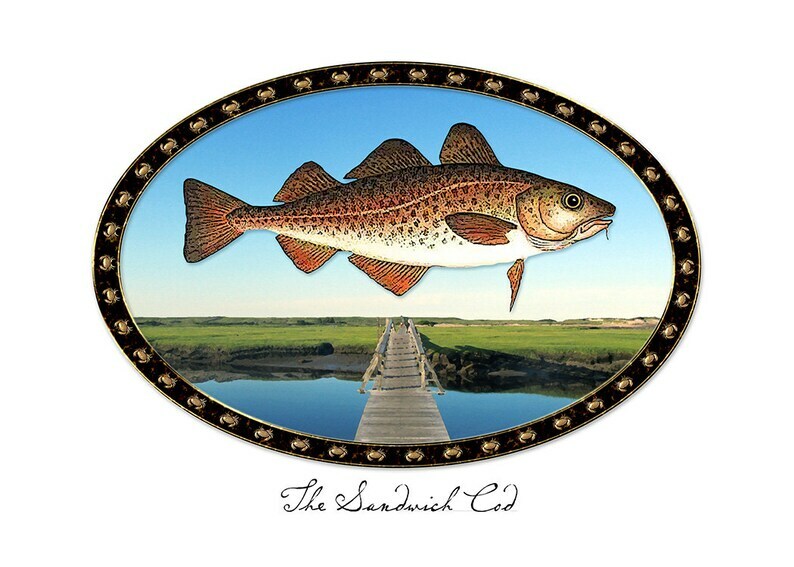 A "cod" for people who love Sandwich, MA. The image shows the picturesque Sandwich boardwalk and the codfish. The inside of the "cod" is blank for writing. The card is printed on heavy matte stock with pigment inks and measures 7 x 5 inches. This design is also available as a print in various sizes. The card is packaged in a cello sleeve with envelope. The Cape Card watermark will not appear on actual "cods". Design © copyright 2011 by Andrew Newman. All rights reserved.